Solution for note taking, action follow up, and both team and project management. Reports and status of all projects and teams, in real time. “The most critical issue I was facing in my job at the time I commenced using Beesy was organizing the many demands of my position and my workload into a clear, concise and visual set of actions. 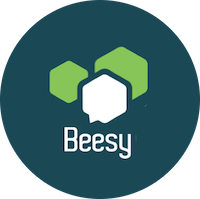 I love the ability to combine actions, notes, messages, etc in one place…” Michael N.
“Beesy is a very fast way to write and handle meeting notes and thoughts. I use a Livescribe pen too. It is very easy to write some words and actions and ideas and questions on paper and have it automatically organized in Beesy. After that i can quickly send an email to all my Coworkers…” Heinz N.
“Outstanding! I wish I would have discovered this app years ago. In that time I have researched and purchased dozens or so organizational tools and have been disappointed with all of them for one reason or another. This is the first app that actually challengers good managers to be better!…” Jim B.